Craig Bayley joined Sandbach Management Team in 2015, he was co-opted on to the Partnership as Vice -chairman at the AGM 2015, as the previous Vice Chairman David McGifford had left for pastures new. Craig was previously heavily involved with Disability Resource Exchange which unfortunately closed in 2012 due to the lack of funding. 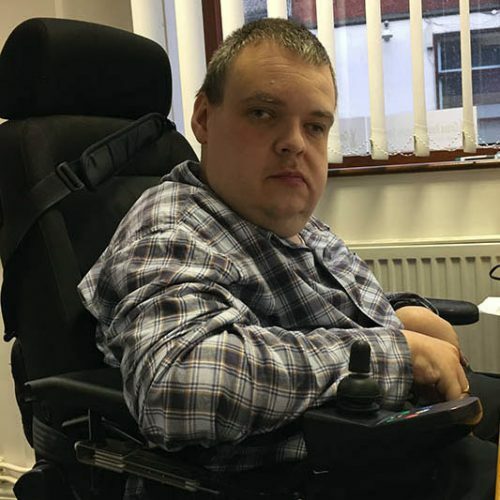 Craig works tirelessly in Sandbach to ensure that people with a disability are heard and access issues are resolved where possible. This work accumulated in the launch of the forum “Grassroots Disability Sandbach” in 2015, Craig operates the group from Sandbach Partnership Office and his normal working hours are Mondays and Tuesdays.